WGCU in Fort Myers will anchor a Southwest Florida episode of a new public-television series that showcasesneighborhoods and cities using local residents’ photo albums. 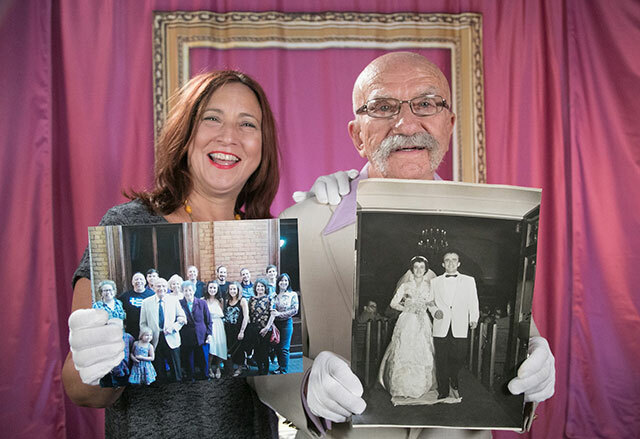 Starting in mid-October, “Family Pictures USA” and WGCU will present family photo-sharing events where individuals, families and communities can share their personal histories and images for posterity. Participants will be guided through a process that often leads to new discoveries about the photos they’ve lived with all their lives. Sessions will be captured on video, and select local families and stories will be featured in the television program airing and online in 2019. Hosted by artist and filmmaker Thomas Allen Harris, and with major support from the Corporation for Public Broadcasting (CPB), this national series enlarges our understanding of our history, diversity and shared values through the family photo album in the digital age. A “Family Pictures USA” photo-sharing event in Detroit brought family histories into clearer focus. Researchers with “Family Pictures USA” will be in Southwest Florida Sept. 17-21 and available for media interviews. Contact Dayna Harpster, Communications Specialist for WGCU Public Media, at 239-425-5124 or [email protected] to schedule a day and time. “Family Pictures USA” provides endless opportunities to excavate local history and culture and to highlight new and untold stories from diverse communities. Southwest Florida was selected as a pilot location because of its unique history, which includes rural and coastal communities that reflect many threads of the American fabric. Information about participating in a photo-sharing session or uploading photos is available online. On social media, use #familypicturesusa. WGCU is Southwest Florida’s source for PBS and NPR programming. As a member-supported service of Florida Gulf Coast University, WGCU’s mission is to provide educational programming that inspires, informs and engages our community. Serving seven counties, representing one-fifth of the state of Florida, with five distinct digital TV channels, two FM radio channels and two HD radio channels and multiple websites, WGCU delivers national and international programming and develops, produces and delivers relevant, informative and educational local programs to the Southwest Florida community. More information about WGCU is available online and on Facebook.